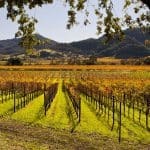 North of San Francisco, the Napa Valley has maintained a rural agricultural environment, world famous since the 1800’s, for its wine industry and culinary culture. Bounded on both sides by mountains and bisected by the Napa River, the valley is one large and lush garden where a wide variety of animals, fruits, and vegetables thrive. Upon your Thursday arrival at Oakland Airport, you will be met and transferred to the Napa Valley. 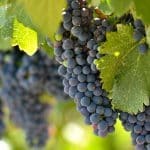 Stop at a casual winery for your first taste of Napa wine while enjoying your scenic surroundings. 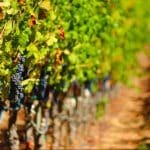 After the tasting, you will continue on to your accommodation in the heart of Napa Wine Country. Settle in, after which you will have the remainder of the afternoon at your leisure to visit different tasting rooms within walking distance from your hotel. We suggest you dine at one of Napa’s top restaurants tonight. Following a delicious breakfast at the hotel this morning, you will be met and transferred to a local winery, where you will enjoy a personal tour by a charismatic winery owner of his organic food garden, followed by a private tasting of his wines. Spending time with the owner, you’ll learn a bit about the process of wine production and listen to stories of the property and of his passion for the pairing of food and wine. Collect your rental car and set out for your next scheduled tasting. You’ll have a unique sommelier-guided wine and food sensory tasting in the private cellar of a top Napa restaurant. The last stop of the day will be at a beautifully landscaped winery, where you’ll have a special tour and tasting experience of luscious wines. Return to your hotel later this afternoon to relax and freshen up before dinner this evening. We will provide you with some suggestions. After breakfast, you’ll have the morning at your leisure to relax or explore the hotel’s surrounding areas. Early this afternoon, you will be met and privately transferred to an estate for an intimate garden tour and tasting of artisan olive oils and red wine vinegars, followed by a relaxing family-style lunch in a 100-year old Spanish olive grove or in the mill itself (weather depending). Savor local artisan cheeses, meats, and breads, in addition to the season’s freshest fruits and vegetables handpicked from the garden—the ideal Napa Valley picnic. Next, your sommelier will assist you in a comparative education as you sample a special group of small production wines. Later this afternoon, return to the hotel in time for a spa treatment before you venture out for dinner (Choose from selected options. Additional services may be added for applicable fees). After breakfast today, you will be picked up at your hotel and head out for the ultimate cheese experience. Not only is Napa renowned for its fabulous wines, it is also a famous producer of cheese. A world-famous cheese monger will give you an introduction to cheese tasting, insisting that you “play with food” in order to understand the texture, smell, and flavor of the six to eight cheeses you’ll sample. Spend the afternoon at the Oxbox Public Market, Napa’s 40,000 square-foot market, which features restaurants, wine, gourmet foods ,and specialties. Here, you’ll have a market tour followed by time for you to wander, and stop for lunch wherever you please. Before returning to your hotel, you’ll enjoy an exclusive sampling at the esteemed Culinary Institute of America during a two-hour “taste” of what the great chefs of the world prepare in their classes. Spend the morning at your leisure before your private transfer to the airport, where you will meet your return flight home or continue on to your next Willing Foot destination.